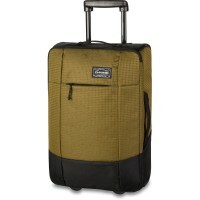 The Dakine Carry On EQ Roller 40L you have the perfect trolley for your hand luggage next to your flight found! 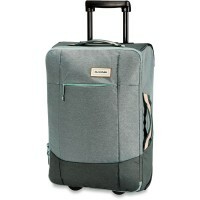 Despite its compact size is rolling suitcase amazing roomy and will surprise you with its generous storage space. 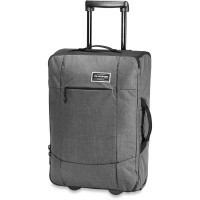 In the upper shell of the Haupfachs Dakine Carry On Roller EQ 40L has a interior zipped pocket where you store small things well sorted. 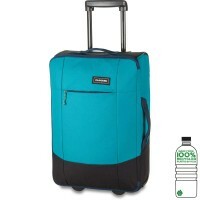 Elastic straps to help you, your luggage in the main compartment at to keep order and compress. 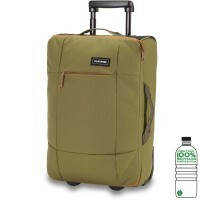 Also outside has the practical Dakine Wheeled a large zipped pocket in which you travel documents, documents, purses & Co can transport accessible quickly. 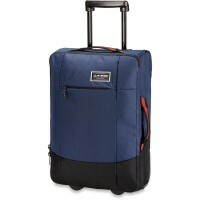 Whether weekend getaway or Business Trip: Thanks to telescopic handle and high quality urethane wheels , the Dakine Carry On EQ can be wheeled suitcases traveling virtually pull and comfortable. 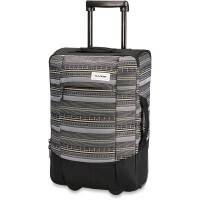 The dimensions of the Dakine Carry On Roller EQ 40L trolleys meet the requirements of most airlines for carry-on luggage. 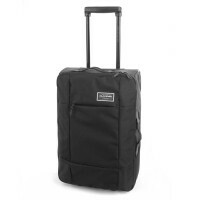 Customer evaluation for "Dakine Carry On EQ Roller 40L Trolley / Suitcase Thunderdot"